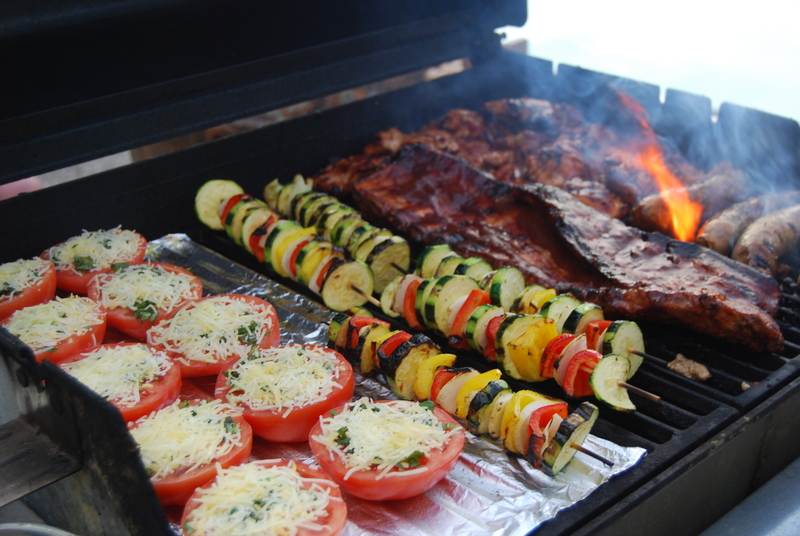 Summer to me always signifies BBQ time… and by summer, I mean a proper summer. In a place where seasons actually change. Fortunately, I was back in good ole ‘merica just in time for summer grills to fire up. Within a week, I spearheaded three successful summer BBQs for friends and family across the country (NYC to Napa to Fremont counts as cross-country). I personally don’t own a grill but anytime I go to a home that has one, I get slightly obsessed with wanting to use it. And that explains the three BBQs. The meat part of grilling I think is pretty straightforward: steaks, sausages, chicken thighs, ribs, etc. Make a good marinade and you can’t go wrong. The vegetable part of grilling is where I think it gets fun. My favorites are my mom’s Grilled Tomatoes with Mozzarella and grilled corn on the cob. For a fancier version, I like making Elote (Mexican grilled corn on the cob). 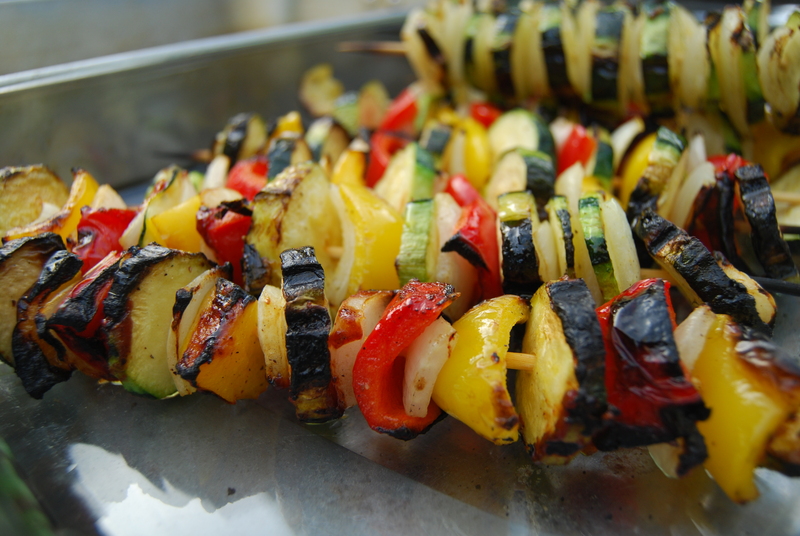 My most recent addition to my summer grill repertoire are these colorful summer squash skewers. The squash, peppers and onions are simply dressed in olive oil, salt, pepper, and then skewered in pretty alternating colors. Because yes, that matters. And yes, it is delicious. 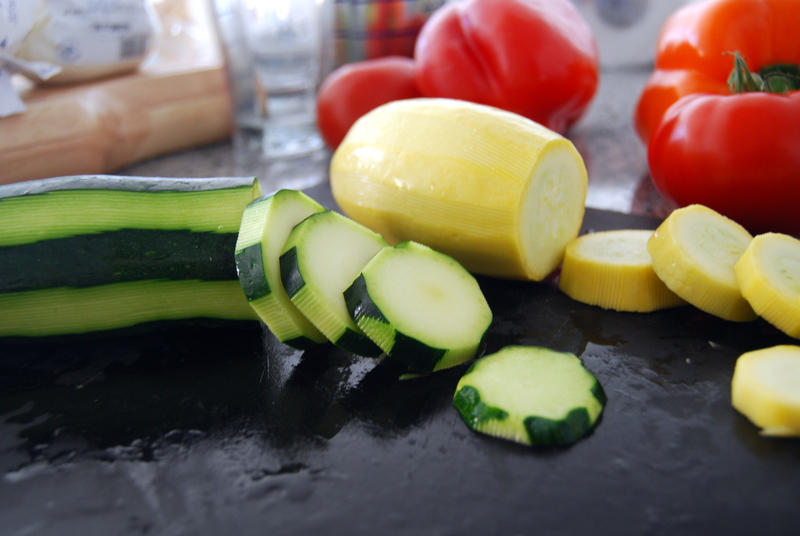 Trim off the ends of the zucchini and squash, and then slice them in 1/2″ pieces. Optional: use a vegetable peeler to create a striped pattern on the zucchini. Why? Because it makes it pretty! Cut the core out of the bell pepper, and then cut it into 1″ pieces. Chop the onion into similar square-sized pieces. I generally want the shapes of all vegetables to match up to ensure even grilling. 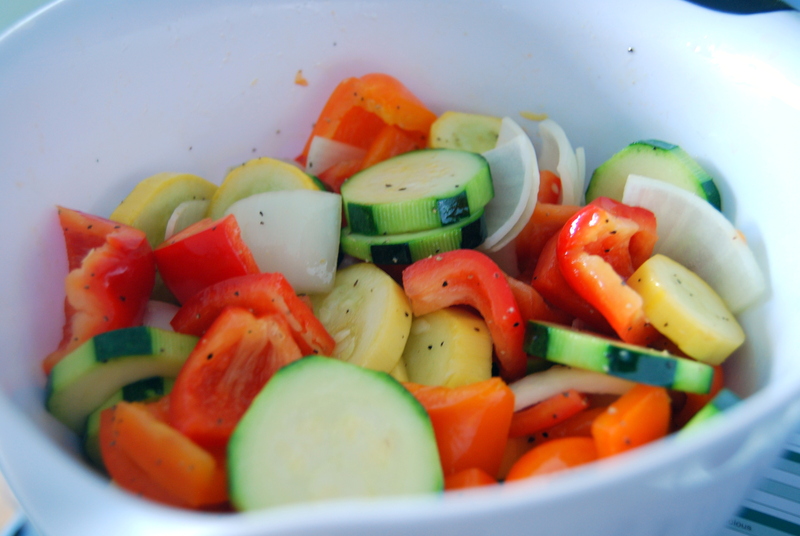 In a medium bowl, toss all the vegetables with the olive oil, salt and pepper until evenly coated. 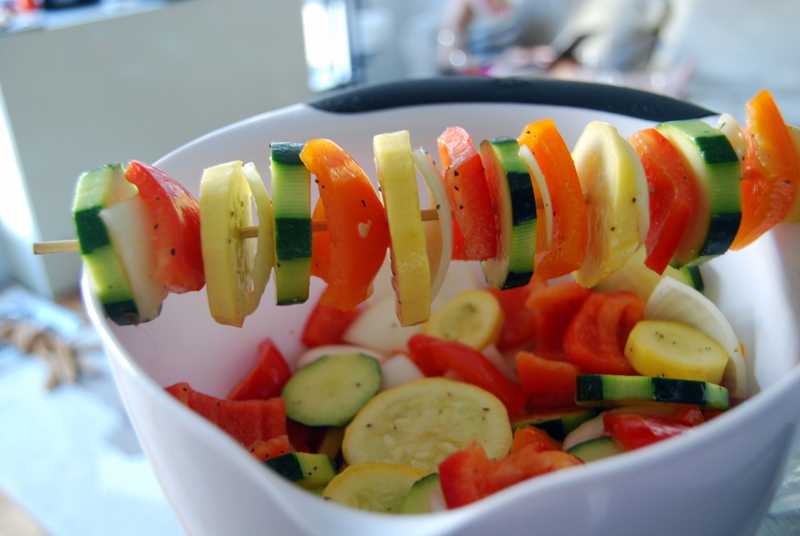 Skewer the vegetables by alternating squash, onion, and pepper. At the end of the skewer, make sure to end with a squash or pepper piece as it helps hold it together. Put the skewers on the grill over medium-low heat, and cook with the lid closed. It should take about 15-20 minutes; rotate the skewers every 3 minutes to brown them evenly. 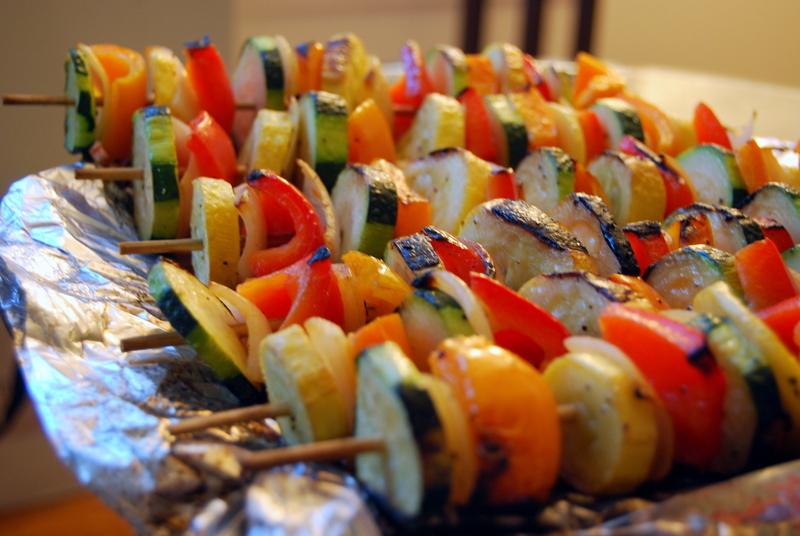 The skewers are done when the vegetables are browned and softened.